Gillian Anderson; Damian Lewis; John Bishop; Jim Broadbent; Simon Callow; Joanna Lumley; Catherine Tate; Ronan Keating. Great (weird?) cast for a play right? Well, these glittering names and more will all be starring in the Park Theatre’s upcoming ‘Whodunnit [Unrehearsed]’; the catch is that only one of them will appear in the show per night, and they’ll only do it once. 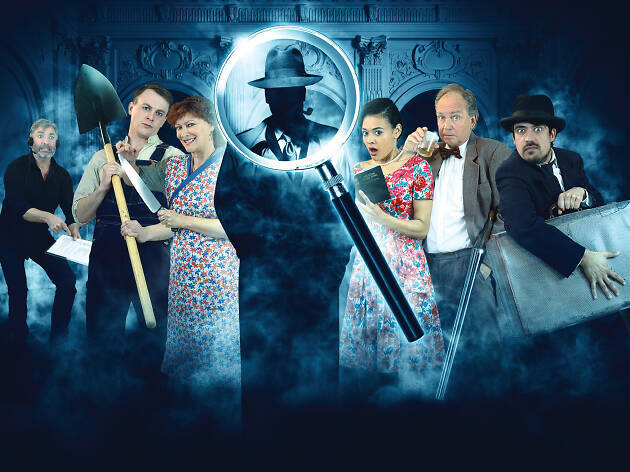 Proving once again the Park’s enduring appeal to north London celebrities, the show – written and directed by Jez Bond and Mark Cameron – is a spoof murder-mystery that will feature pre-recorded voice performances by Ian McKellen and Judi Dench. The main event, though, will be each night’s celebrity guest, who will be thrown in unrehearsed with the show’s regular cast to play the role of an inspector trying to crack a murder case at an isolated country mansion, with some of their lines fed to them by earpiece. The audience will also get the chance to quiz the celebrity after the show each night. No timetable has been announced yet and one assumes that the general idea is for it to be a surprise until the last minute. So yes, we can’t promise you’ll get Gillian Anderson, but it sounds like a laugh and the celebrities are donating their time for free, with all monies raised going to keeping the Park’s ticket prices down. (It’s also worth bearing in mind there aren’t that many performances, so your odds of seeing Gillian A aren’t dreadful). 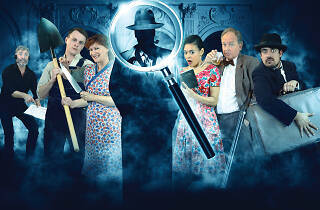 ‘Whodunnit [Unrehearsed]’ will run at the Park Theatre Jul 15-27. It will then transfer to the Edinburgh Fringe.